The Universal Audio Arrow is the world's first Thunderbolt 3-powered desktop recording 2x4 audio interface for Mac and Windows, with real-time UAD-2 Solo core Processing. The Universal Audio Arrow boasts two Unison mic preamps which give you the tone and feel of the legendary mic preamps and guitar amps ensuring a level of accuracy unmatched by any other emulation. Included Unison-ready plug-ins include UA 610-B Tube mic preamp and Marshall Plexi Classic plug-ins. 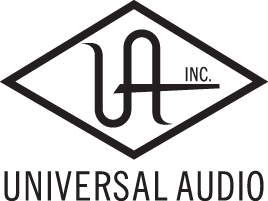 Originally developed in the Apollo range of audio interfaces, Realtime UAD plug-in processing gives you near zero latency recordings with classic analogue colours. Powered by the UAD-2 SOLO Core processor the Arrow gives you enough power to record and monitor through the full library of UAD plug-ins. This powerful package is ideal for musicians and songwriters needing a compact, portable recording solution with the quality required for professional results. Desktop 2x4 Thunderbolt 3 Audio Interface with real-time UAD-2 DSP Solo Core Processing, Unison Preamp, and Class-leading converters.